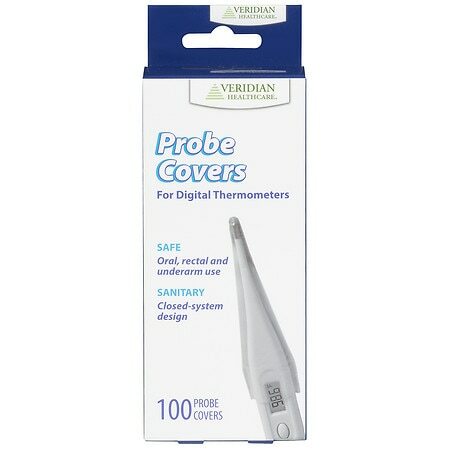 Veridian Healthcare Professional Digital Thermometer Probe Covers, Box of 100100.0 ea. Sized to fit most professional digital thermometers. Features a safe, closed-system to provide a sanitary environment for the patient and healthcare professional alike. Provides a sanitary environment for the patient and healthcare professional alike. For oral, rectal or underarm use. Disposable and easy-to-use.